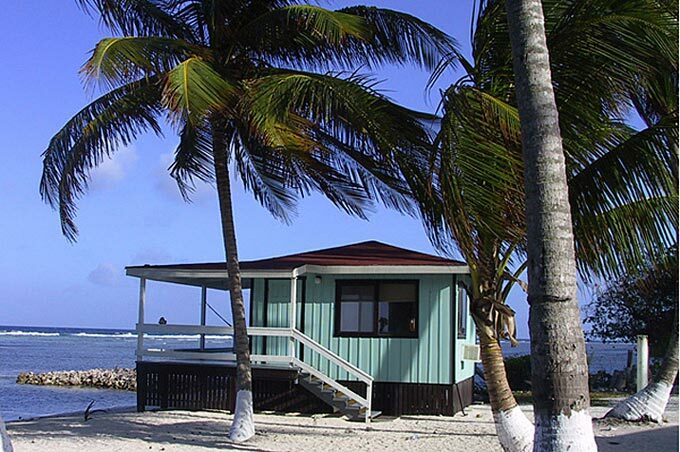 The Caribbean sea is surrounded by a huge circle of islands and continental countries, whose westernmost ones are less frequented by European sailors and tourists than by American ones, who know they can find, just south of the Gulf of Mexico, a number of exceptional destinations: Belize, once known as British Honduras, is one of them, and it specially attracts divers, sailors who like to lose themselves among the myriad islets and lagoons that are surrounded by one of the largest barrier reef in the world, but also those that are attracted by the Maya civilization : Belize boasts some of the most spectacular ruins and pyramids. 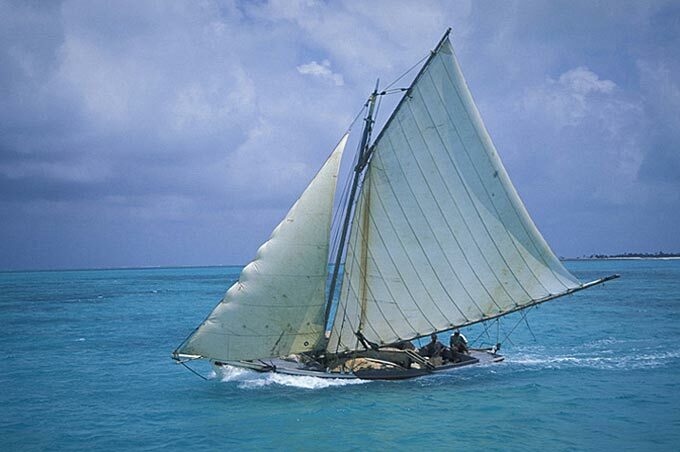 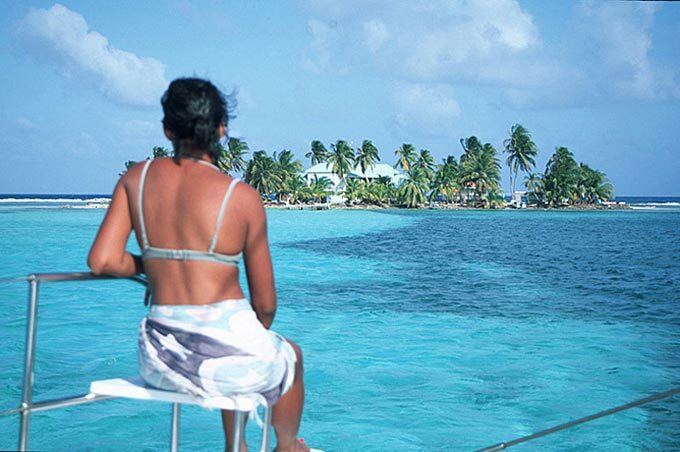 I, for one, am most of all attracted by the lagoons, islands, the mangroves and Belize's atolls: the country boasts some of the few atolls in the Atlantic Ocean; the most famous of them is famous for the extraordinary "Blue Hole", a perfectly circular cavity created by the collapse of an underwater cave. 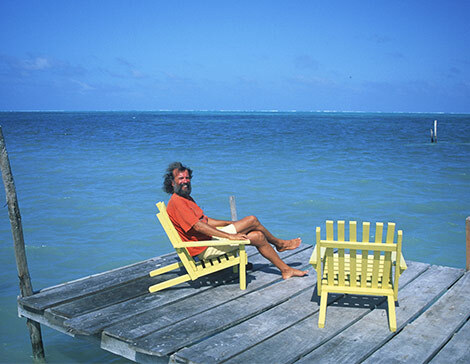 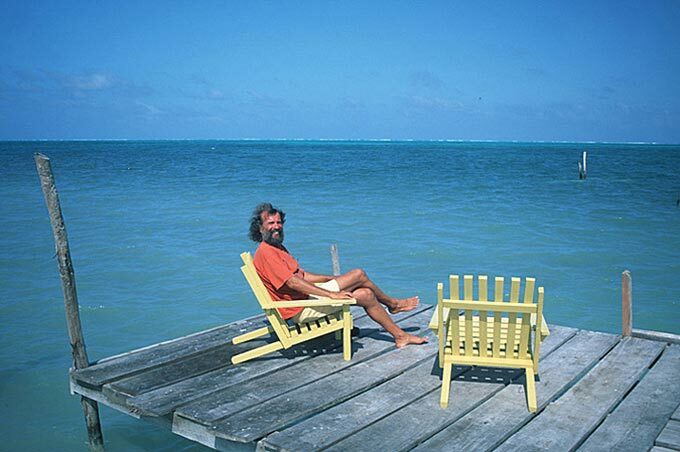 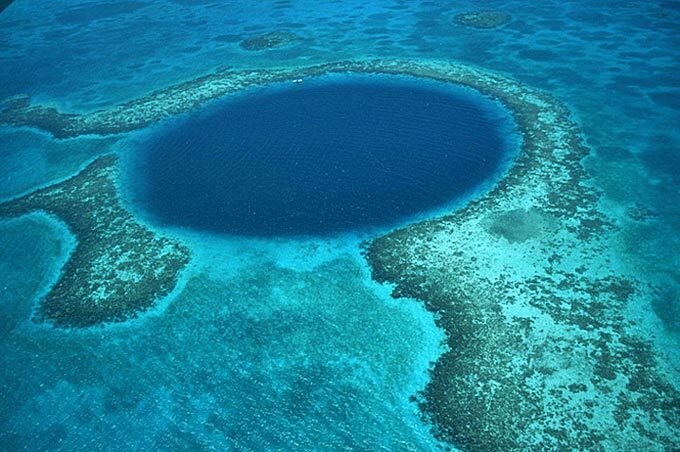 Jacques Cousteau made the place famous when he explored the Blue Hole. 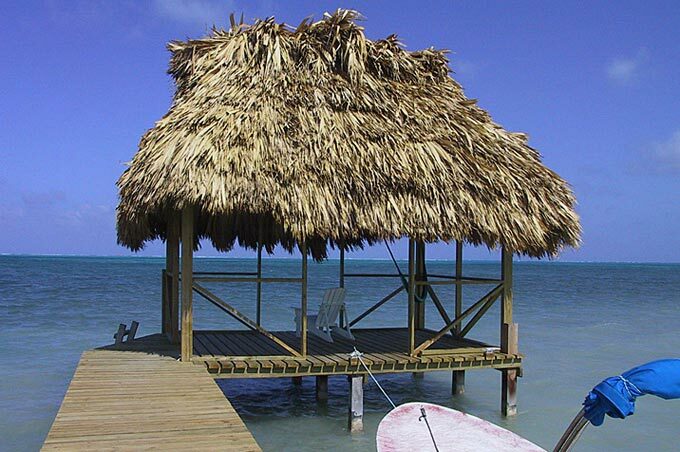 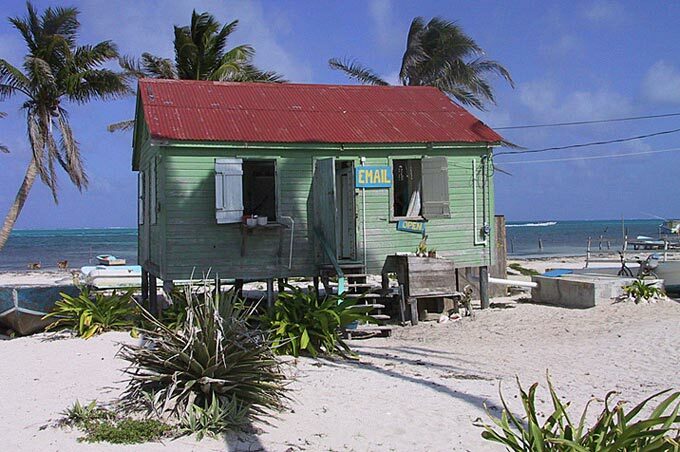 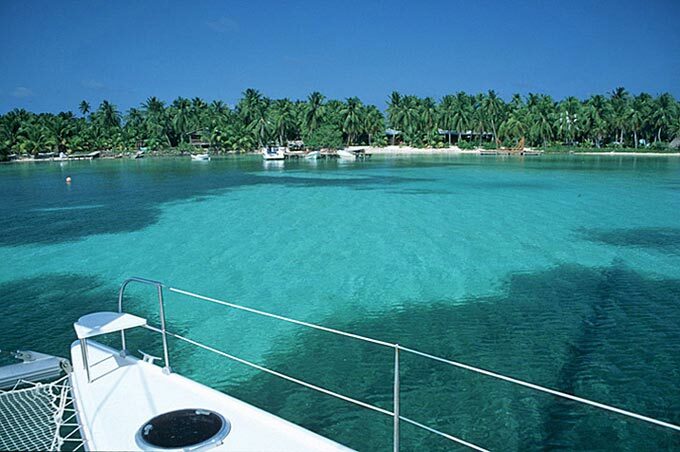 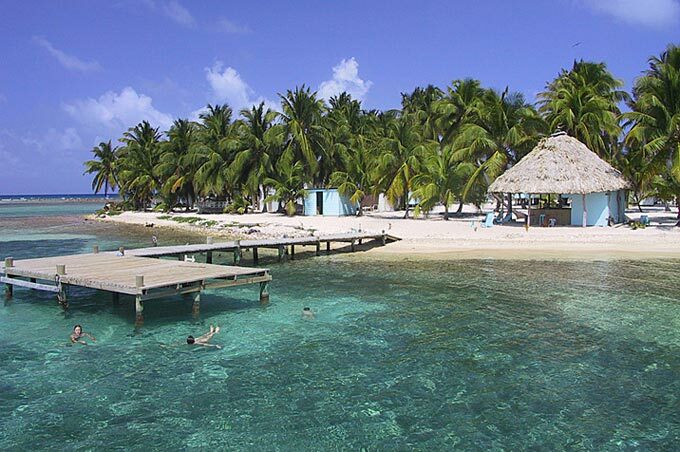 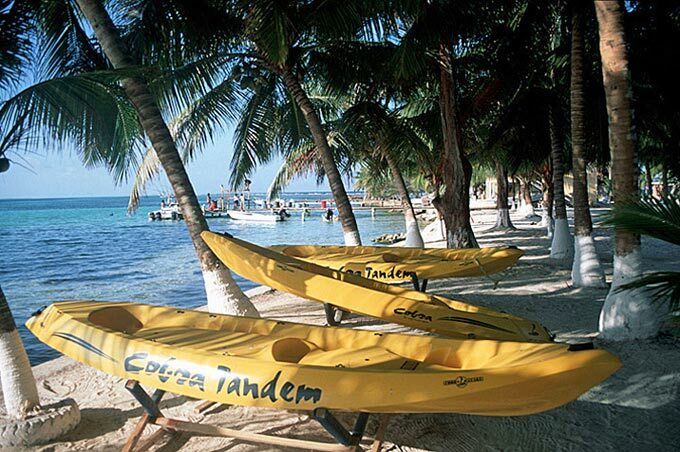 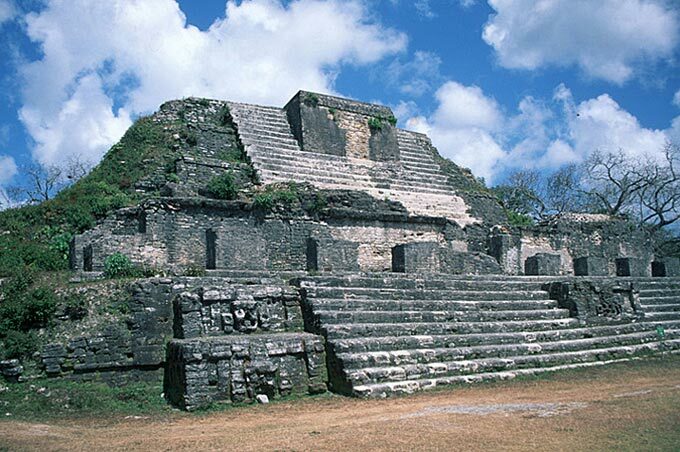 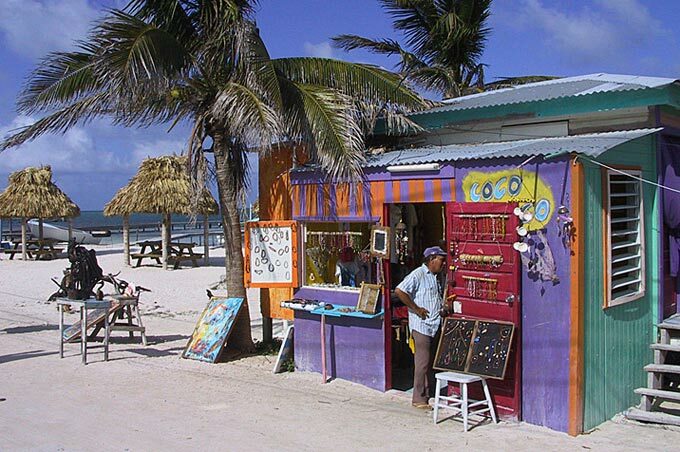 But other sites in Belize are worth a stop, such as the spot, near Caye Caulker, where one can swim among sea rays, or like the mouth of rivers where one can someone catch a glimpse of a manatee. 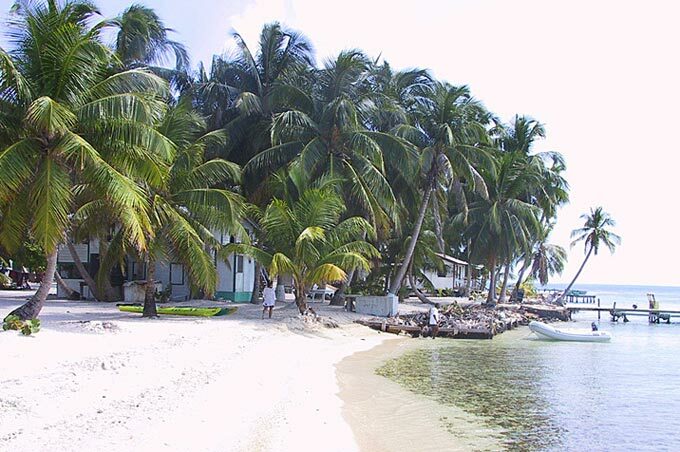 Belize, unfortunately, is on the path of some of the most harmful hurricanes in the Caribbean: the peaceful little town of Placencia, a mecca for backpackers has recently suffered huge damage; the last time I visited Belize, the area north of the capital still showed signs of the damage, all vegetation burnt by the frightening winds of a recent cyclone. 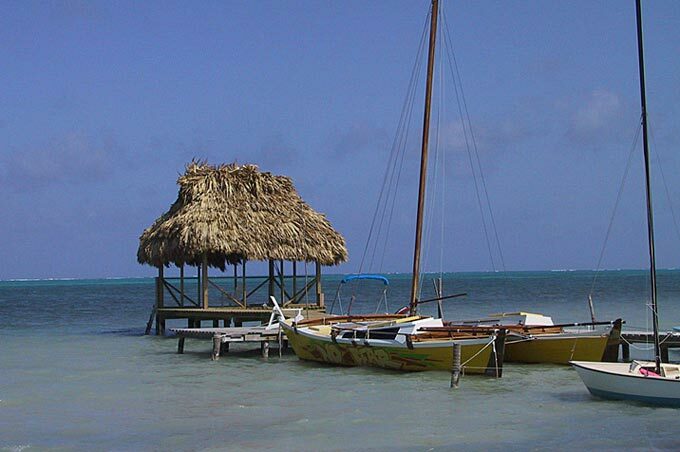 But in those latitudes, life soon takes over; leaves grow again on trees, many-coloured flowers bloom, harmonizing with the lagoon's unbelievable colours.